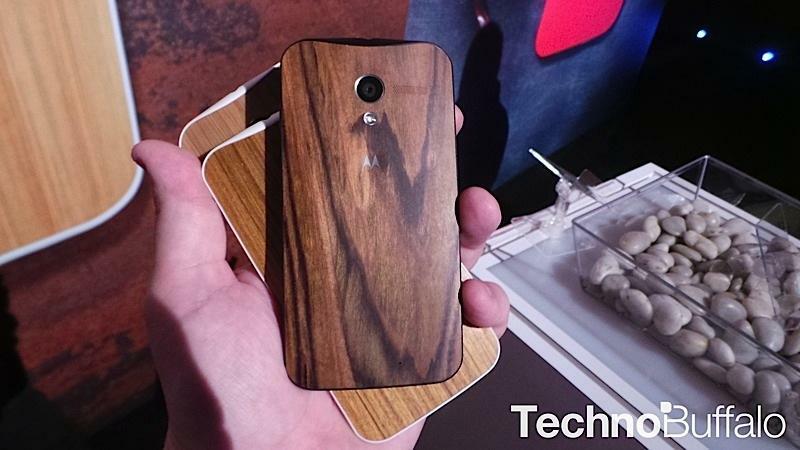 If you held out to buy a Moto X with one of those really cool wood backs, your patience is set to be rewarded. Motorola on Friday announced customers can purchase a Moto X, which is currently at its lowest off-contract price, with a wood back (bamboo, ebony finish, teak finish, and walnut finish) for an additional $25 starting Jan. 21—that’s $75 less than Motorola had initially planned. The company had actually charged folks who purchased the Moto X with bamboo $100 extra, but Motorola claimed in an email to customers it figured out how to “stream line” its production process, which is why the price has been lowered to just $25. Motorola, for its part, isn’t leaving those who purchased a bamboo Moto X out to dry, however, offering those customers a $75 coupon code for accessories and the like (sorry, no Chromecast); that $75 code is only good for accessories over $75. Motorola’s Moto Maker process is still one of the coolest offers on the market, giving customers the opportunity to customize the front, back and accent colors of the Moto X. Now that wood back options are available, the Moto X stands out even more than it did. For my money, I’d get the walnut finish, but the ebony looks pretty awesome as well. Look out for the wood backs to become available next week.